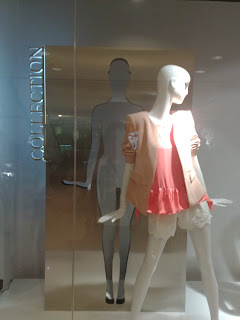 Zara window display at Ngee Ann City, Singapore, has different arrangement and properties compare to other stores in this country or in Jakarta. 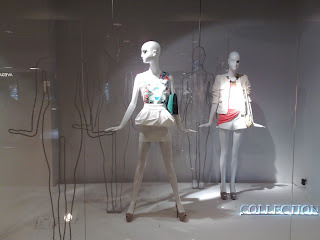 There are silhouette of every mannequins made from metal. 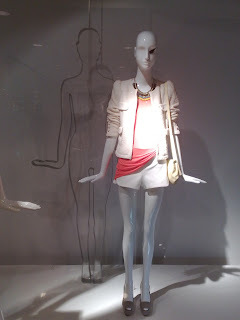 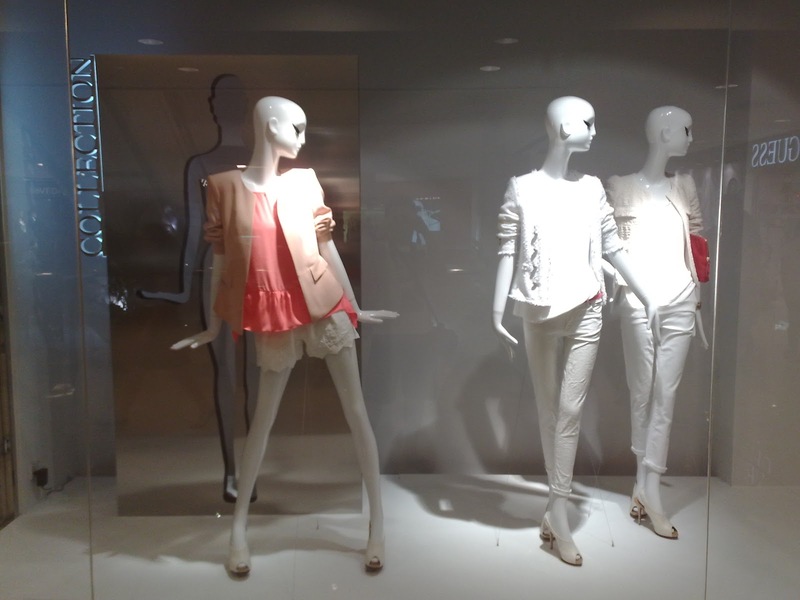 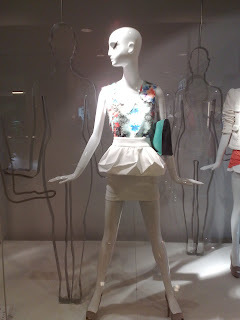 Although the shape is not exactly mimic the mannequins, their existence make the display look more interesting.